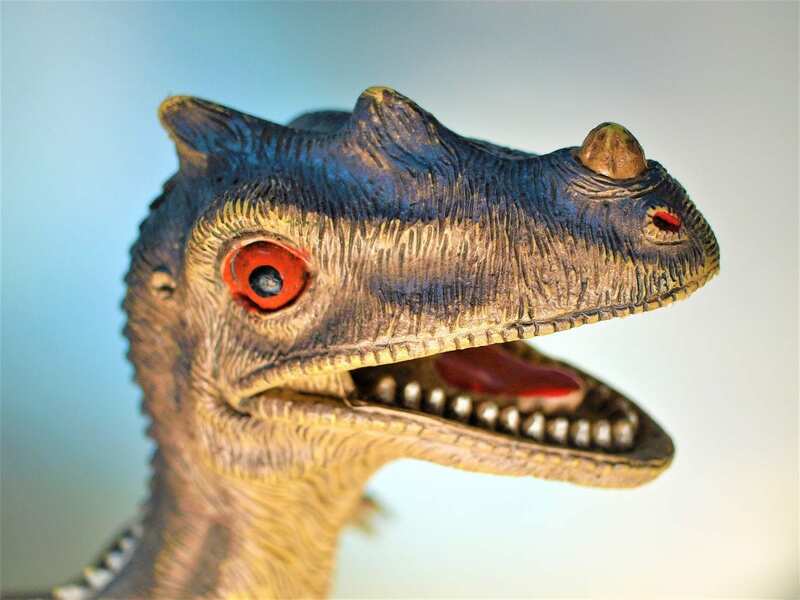 As mentioned in one of our previous blog posts we have several ferocious friends here at Dinosaur Escape including our resident T-Rex, Ankylosaurus, Triceratops, Iguanodon and our Apatosaurus. We’ve told you all about our Triceratops and Ankylosaurus. In this blog post we will be telling you all about how the Apatosaurus and Iguanodon lived. The Apatosaurus is also commonly known as the Brontosaurus however there has been some disagreement whether the two are the same or different from each other. A study in 2015 determined that the Apatosaurus and Brontosaurus were in fact different species however, many palaeontologists disagree with them. Known for their huge size, they belong to a group of dinosaurs called the ‘Sauropods’. This group also includes the Brachiosaurus and Diplodocus. Pronounced ‘App-At-O-Saw-Rus’ they were some of the largest animals that ever lived. Their name translates as ‘deceptive lizard’ As herbivores they mainly lived off of plants, using their peg-like teeth remove leaves from trees and other foliage. These teeth would have made it a bit difficult to chew though! Being one of the largest dinosaurs alive they had a long neck helping to forage plants high up, thick legs to support their body and a long tail tout to provide some protection against predators. Additionally, with an average length of between 21-23 metres they weighed in at around 45 tons. Now that’s pretty heavy! 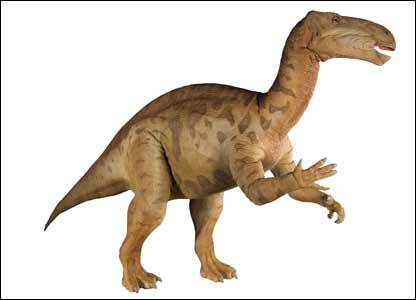 It is thought the Apatosaurus lived in what is now North America approximately 154-145 million years ago in the late Jurassic/ early Cretaceous period. Interesting fact: the Apatosaurus had the largest dinosaur egg at around a foot tall and a size comparable to a basketball. Absolutely tiny when you compare it to the size of a fully grown Apatosaurus. The Iguanodon pronounced ‘Ig-waan-a-don’ was one of the first three dinosaurs to ever be discovered. Named due to the similarity of their teeth to Iguanas they were the first indication that some dinosaurs had been reptiles. Belonging to the group of dinosaurs known as the Ornithopods they lived between the late Jurassic and early Cretaceous periods and could be found across Asia, Europe and North America. This was 126-125 million years ago. With a length of approximately 9 metres, a height of around 2 metres and weighing in at between 4-5 tons the Iguanodon was the largest of the Iguanodontidae. Having 4 legs they were able to walk on either 2 or 4 legs, favouring the latter. Although the front limbs were shorter than the back legs meaning they would have walked on their fingers and toes. Like the Apatosaurus, Iguanodons were also herbivores favouring a diet of plants such as ferns and other low growing plants which grew nearby to water sources (streams and rivers). Most of the bones in the skull, particularly the jaw were very flexible making it easier to chew the plant material they feasted on. Iguanodons appear to have had ‘hands’ with ‘fingers’ very similar to the human hand with a spiked thumb that is believed to have been used for defence or for breaking fruit and seeds. The rest of the ‘fingers’ each with a claw were used to grab things such as plants. Iguanodons had a relatively small head in comparison to their large body with thick legs and a large tail to support their body and protect themselves from predators. Many fossils have been found in groups and so it’s believed that they possibly lived and travelled in herds. However, some scientist believe that the reason fossils were found together was because the rivers and streams carried the bones of dinosaurs them depositing them together. That’s all for now folks, we hope you enjoyed our fun facts!